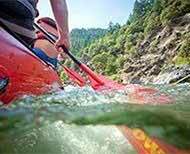 I recently rafted and had the pleasure of experiencing the Wild and Scenic Rogue River in Southern Oregon. The history and splendor of this place is almost unmatched! This was a lodge to lodge trip where we were hosted by different families each night at different lodges! The water runs clear and the history is endless. 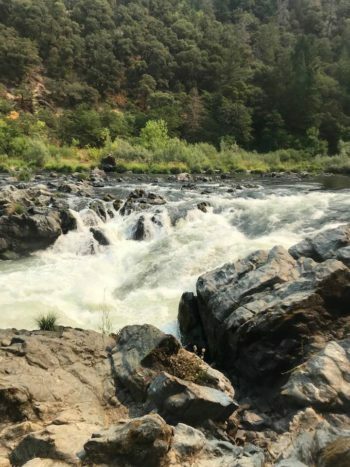 To learn about Zane Grey and taking his writing to a new level by living on the river, seeing original settlements that have been protected and preserved, the designation of a wild and scenic river corridor that is clean and clear were truly some highlights for me. I traveled with 3 friends on this trip and yet by the end, the entire group of 17 were all friends! The pace on this 4-day trip was perfect, no rush and yet our days were full. Great food and lots of laughs, too. The guides were great! Thanks to Katie, Miles, Eric, Lenore and Angie, you kept us busy, laughing and learning. Four days on the Rogue River and I really want to go back!